The name in the “from” block was one I did not recognize. I generally delete—without opening—all emails from people I do not know. In this case I opened the email only because I happened to recognize the name of A SCHOOL’s annual event in the subject line. Tip: Be sure the sender of your emails is someone from whom your donors and prospects would like to hear! The person who signed the email was not the person who sent it. In other words the “from” person did not match the “signature” person. Is that the end of the world? Nope, but it’s sloppy. 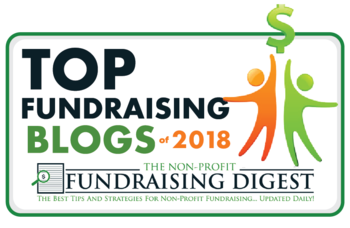 With the sophistication of databases and email marketing platforms, there is no excuse to send an email to “Supporter.” Emails to your donors and prospects should always begin “Dear Kathie” (i.e. first name of the recipient, correctly spelled). “Dear Supporter” is a clear indication of a non-personalized mass email. And an invitation should be as personalized as possible! The font size was too small. To ensure that everyone can read your email, font size should be no smaller than 12 point, and 14 point is better. If this font size seems huge to you, consider this: Baby Boomers control 80% of all wealth in the U.S. and contribute nearly half of philanthropic dollars—and most Baby Boomers cannot read small font. For more interesting demographic stats around philanthropy, check out this post by Jeff Brooks. For more on choosing fonts, try Is a Font Hurting Your Fundraising Efforts? This is what it means to be donor-centered. You want the donor—not the organization—at the center of everything. Because, truly, without your donors contributing funds to pay for programs, there would be no programs! For more on “you” vs. “me,” read about Tom Ahern’s excellent You Test. Recognition of past support never happened. I scanned the 344-word email for some acknowledgment of or appreciation for past support for this organization. At the very end was this sentence which read almost like an afterthought: We look forward to seeing you at these upcoming events and thank you for your continued support. Tip: Thank your donors. Thank them for all they have done for your organization already, before you ask them for more. What is your experience with email marketing? Have you been thanking your donors in every communication you send? Please share your thoughts or experience in the Comments box below!